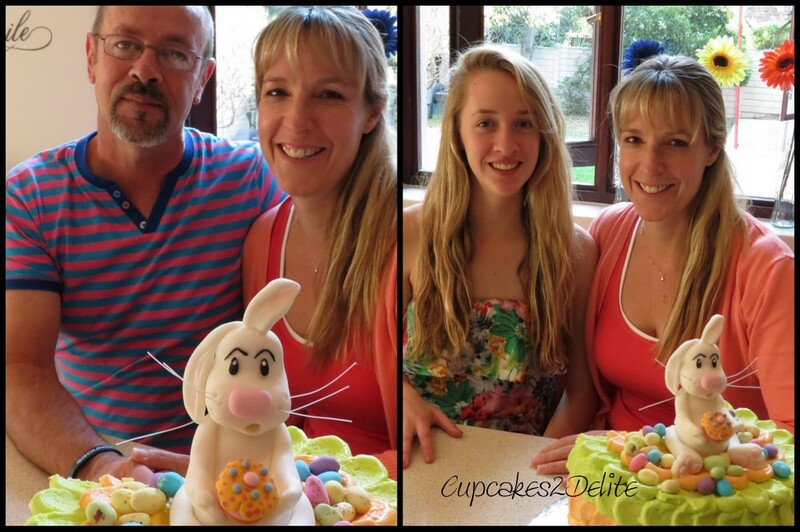 In March this year we were pleased to have Grace Stevens of Cupcakes by design to present her Easter Bunny workshop here in Johannesburg. Grace taught us how to make this mischievous sugar bunny and I had him sitting in my display cabinet proudly holding his Easter cake. 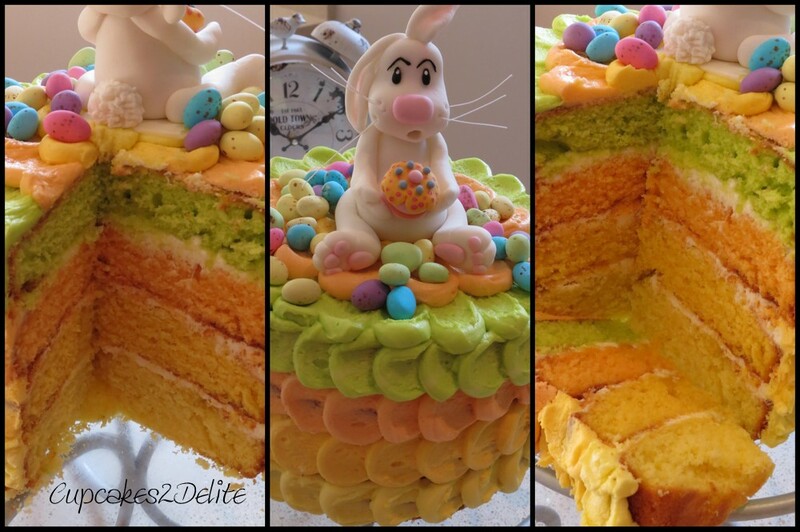 I thought he deserved to be shown off on a special cake for Easter and I decided on a 4 layered cake using the colours of Easter. My first layer was a light yellow layer flavoured with the juice and zest of a lemon, the second was an egg yellow colour with a passion fruit flavour, the third an orange coloured and flavoured layer and the final layer was zesty green and apple flavoured. I made a butter cream icing which I also divided into 4 and coloured each to match the sponge layers. I used a vanilla butter cream to smooth between each layer and then created the outside effect using the coloured butter cream in small dollops which I smoothed with a teaspoon. 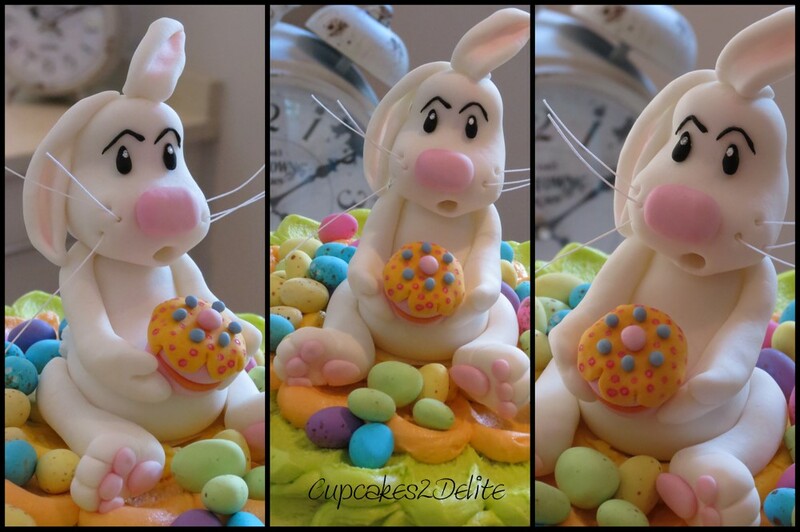 The top was finished off with the rather proud sugar bunny and loads of speckled eggs. The sliced cake not only looked but also tasted delicious.